I used to love playing here as a kid. I hope Noël will feel the same. January 1, 2018 Noël B went to Disneyland for the first time and loved it! Oh Yeah, we wore matching Mickey tees! We also have matching white high top Converses, but Noël just outgrew hers, so just the tees..
2. Cream together the butter, white sugar, and brown sugar until smooth. Beat in the eggs one at a time, then stir in the vanilla. Dissolve baking soda in hot water. Add to batter along with salt. Stir in flour, and M&Ms. Drop by large spoonfuls onto un-greased pans. 3. Bake for about 12 minutes in the preheated oven, or until edges are nicely browned. Another Mommy & Me crafts day! We took a bath after all this.. Things Learned: No tape necessary. 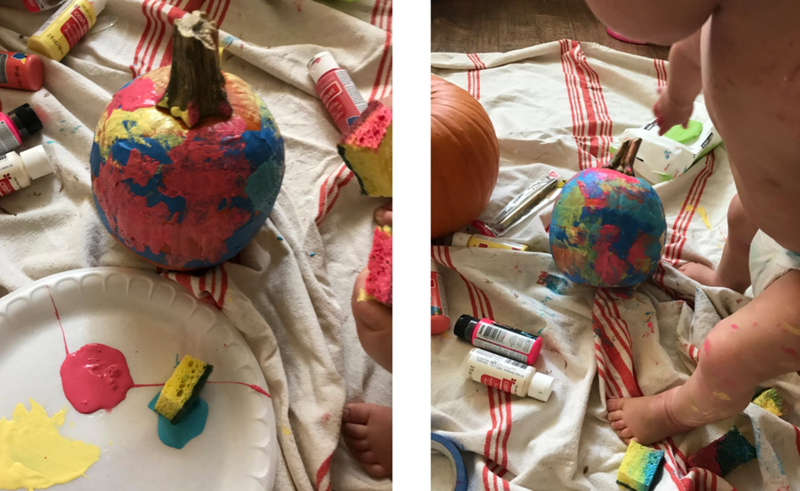 I thought tape would be a great add to our painted pumpkin. 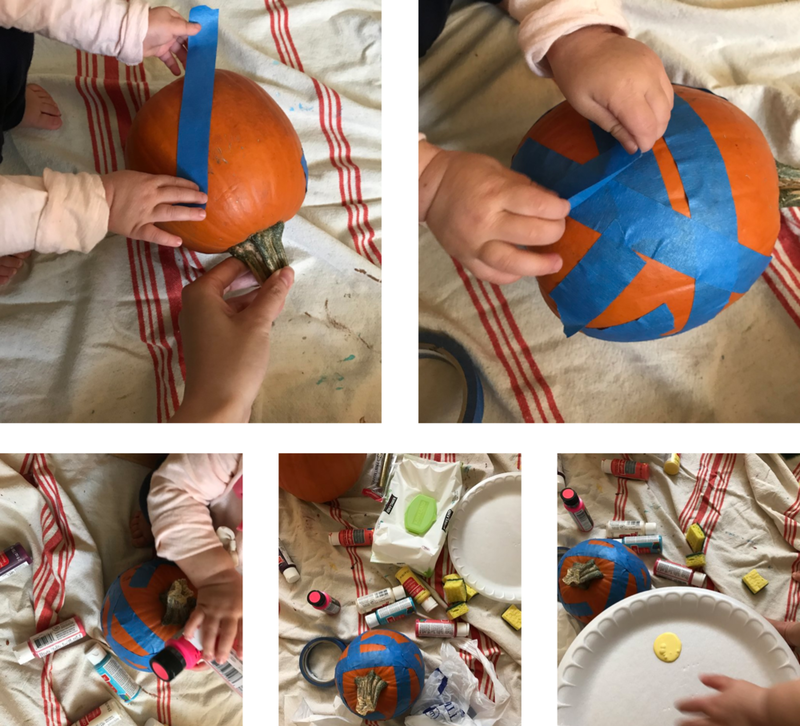 Ideally it would give nice clean abstract lines, but my one year old was so good at taping I think we overwhelmed our pumpkin with tape. After we removed the tape, there was barely any paint left. Note for next time- no tape. It looked beautiful and abstract without the tape. I decided that we need to add more color since all the tape had most of the paint. We added pom poms and washi tape. I helped Noël B use a glue stick to attach the pom poms. Mommy and Me arts & crafts time! 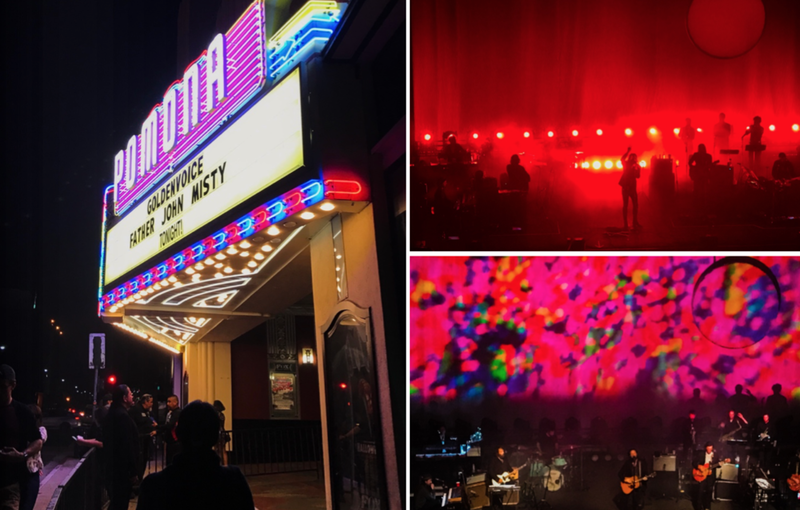 Father John Misty you did not disappoint!